Scripture opens by announcing that God (Heb: elohim) created the heavens and the earth (Genesis 1:1). When God completes his work of Creation, he declares his handiwork to be very good (Gen 1:31). From Genesis 1:2–31 God guides his creation from undifferentiated matter shrouded in darkness (1:2) to a very good world teeming with potential and possibility. God establishes the framework for life in the cosmos and then fills it with vegetation, fish, birds, animals, and finally men and women. Humanity is the high point of God’s creative work (1:26–31). God is present and in control even in creation’s chaotic beginning. Genesis 1:2 informs us of the darkness and formlessness of the pre-creative state but then decisively declares God’s dynamic presence ready willing and able to establish very goodness as the abiding reality in his creation. God acts unilaterally in his work of Creation and profoundly God accomplishes this work simply by speaking the various elements of the physical world into existence. The initial creation story reaches its climax with God resting in Sabbath (2:1-3). This movement from undifferentiated darkness to very goodness and to sabbath is a powerful word for the world. The reader of Scripture immediately realizes that the God of Creation is a God who can bring order and wholeness to the most hopeless of situations. The Bible will prove to be a book for people desperate for deliverance, liberation, and salvation. Genesis 2:4–25 follows with a second account of Creation. Genesis 2:4–25 complements the theology of Genesis 1:1–2:3 but does so in its own distinct style. If Genesis 1:1–2:3 portrays humanity as the high point of God’s work and Sabbath as the climax, Genesis 2:4–25 focuses on the centrality of humanity and its relationships within God’s world. Humanity enjoys productive and positive relationships with God, with creation, and between men and women. The climax of the second creation story (2:18–25) celebrates the intimate union and harmony between the man and the woman who enjoy life together at the center of God’s creation serving as caretakers and stewards of God’s good world (2:15 cf. 1:28-29). The biblical stories of Creation exist to witness to the truth about reality and the Creator God. Israel’s creation stories did not arise in a vacuum. There were competing claims and stories about the gods and the nature of creation. Likewise, today we find ourselves in a world awash with a multitude of understandings, sacred accounts, and claims about spirituality, life, God, and the universe. Genesis 1–2 use the creation stories as a vehicle to communicate to the world a message about a different kind of god and a new understanding of the cosmos. This god demonstrates his power and character as King of Creation. Genesis’ counter-testimony to the polytheistic and mythic worldview of the nations surrounding Israel is clear. First, Genesis is subtle in its introduction of the God of Scripture. Genesis 1:1–2:3 uses the Hebrew elohim 30 times. Elohim is translated “God” though grammatically it is a plural noun. It is Israel’s way of declaring the prestige of its deity. We get so use to hearing the word God that we forget that Israel’s God’s personal name is Yahweh. The millennia old practice of saying “LORD” rather than uttering Yahweh obscures this personal dimension. Yet the Bible’s consistent witness is that Yahweh alone is Israel’s God (Deut 6:4-5). Why then doesn’t the Bible open with an audacious declaration that Yahweh created the heavens and the earth? Perhaps it is the missional intent of Scripture at work. By using the more ambiguous elohim, Genesis opens its story of creation in a way that invites non-Israelites to listen or read more. The power, majesty, and prestige of elohim is clear in 1:1–2:3. In fact, one of the questions that this text begs asking is, “Who is elohim?” This is precisely the question that Genesis desires to answer. The Bible opens with Genesis 1–11 to remind God’s people that their purpose and mission is linked intimately with all people and all creation. Thus, Genesis 1–11 addresses not merely the prehistory of Israel, but the prehistory of all people and nations. The Scriptures invite a hearing by all interested parties. All that Genesis 1:1–2:3 asks of its hearer/reader is an openness to the divine. It then skillfully introduces its hearers/readers to a radically different god than those worshipped by the nations. Second, unlike other ancient creation stories from Mesopotamia or Egypt, Genesis 1:1–2:3 presents an orderly account of creation. The Creation stories of the ancient world depicted the creation of the world as a battle between gods and goddesses. It is noisy and messy. For example, in the Babylonian tradition, the heavens and the earth are crafted out of the dead halves of the goddess Tiamat. Beyond the realm of even the gods was a force that threatened existence in the form of watery chaos. The act of creation for the ancients thus involved great struggle and conflict between primordial forces. To create was to demonstrate supremacy. In a polytheistic context, the various gods and goddesses battled each other as well as the primordial forces to bolster their claims to be the chief god or goddess. In contract, there is not a hint of polytheism in Genesis 1:1–2:3. Genesis 1:2 talks about undifferentiated and unproductive chaos-like matter cloaked in darkness but simultaneously demythologizes it by affirming the dynamic presence of elohim who hovers above it ready, willing, and able to shape nothingness into very goodness (1:31). Elohim does not battle primordial forces or other deities. Elohim creates the cosmos quietly and orderly through his speech. The six days of creation demonstrate elohim’s power and sovereignty as he separates and fills creation. Elohim is the creator of the sun, the moon, the star, the fish, the birds, all living creatures, and humanity. Thus, there is no being worthy of worship and service other than elohim. The things that other nations worship as gods are merely part of elohim’s good creation. Third, the biblical creation stories witness to the profound potential, dignity, and purpose of every human being who has even and will ever live. In Genesis 1:26–31, God creates women and men in God’s image (Latin: imago dei). Other than kings, the average human being in the ancient world lacked basic dignity. Men and women were slaves of the gods and kings. The religions of the ancient world celebrated and solidified a suffocating status quo that favored the powerful and oppressed the vast majority of the population. There are references to humans created in the images of the gods in other literature, but such references focused on the king to raise his status and prestige over the average person. Thus, it is remarkable and important to hear the audacious message of Genesis 1:26–31 that all humanity bears the image of God. Moreover, this includes women. Such claims are unprecedented in the ancient world and lay the foundations for subverting all paradigms and world views that privilege the few over the many. 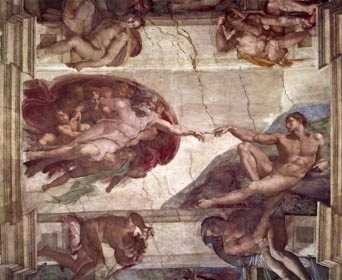 Genesis 1:26–31 depicts the creation of humanity as the climax of God’s creative work. What does it mean to be created in the image of God (Heb: tselem)? In the ancient world, gods and kings projected their power by erecting images of themselves for their subjects to see. These images came in the form of idols or statutes. The later Roman emperors issued coinage with their images. Thus, an image is a visible representation of something or someone that is invisible or not at least not physically present. According to Scripture, this is the role that women and men serve. Humanity are visible representations of God to the rest of creation. This points to the purpose and mission of people. God created humanity to serve as a missional community that reflects and represents the Creator God to/for/in the Creation. God’s designed humans to function as priests and priestesses who will fill the earth. Fourth, the general nature of Genesis 1:1–2:3 and 2:4–25 functions to set the Bible within an international context rather than only a parochial one. With the call of Abraham in Genesis 12, Israel’s Scriptures will focus on God’s calling of a special people to serve his mission, but this calling is set intentionally with God’s creational intentions for all people and all creation. The story of Creation is the story of humanity. This is critical from a missional perspective because it invites the World to read the Bible as its story and not merely as the story of Israel and the Church. Fifth, the biblical accounts of creation present Yahweh elohim as the Creator of a beautiful and inviting world. There is no violence. There is no discord. It is a world of abundance and order. We see a move in Genesis 1:1–2:3 from undifferentiated matter to very goodness. But ultimately there is something even better than a state of very goodness—Sabbath. Even the very good work of creation is purposeful as it moves to the rest and harmony of Sabbath. This is a marvelous word whether we are Iron age Israelites or 21st century Americans. Last, the climax of Genesis 1:1–2:3 is God’s sabbath rest. Work ends at Day 6 and the Creator God intentionally rests. This is an important witness. Creation is God’s cosmic temple and humanity serves as God’s visible representatives in it. The power of Israel’s opening creation story lies in its movement from undifferentiated disorder (1:2) to a finished product that is very good (1:31) to a Sabbath rest (2:1-3). The implication is that Sabbath sits on the other side of very goodness. It is a gift of God that is woven into the very fabric of the created world. The goal of life is sabbath rather than endless cycles of work. Genesis 2:4–25 continues this good news by focusing on the central role of the divine human relationship in the world. Genesis 2:4–25 offers a portrait of a small part of the creation: the garden of Eden. It is an idyllic setting filled with beauty, animals, and plenty of good food. Genesis 2:4–25 affirms humanity’s role in preserving and enhancing God’s creation (2:15). These verses also emphasize the relational aspects of human life. Humanity walks and talks with God. This is the pivotal relationship that sets the standard for all other elements of life. As we move deeper into the Scriptures, we will find that our lives can be understood broadly as love for God and love for neighbor. Humanity’s relationship with the earth is clear. Humanity functions as caretakers and stewards of creation. This includes both the physical world as well as the animal world. The latter is implicit in humanity’s naming of the animals. The climax of Genesis 2:4–25 is the creation of the first woman as a partner for man (2:18–25). The relationship between man and woman is intimate and joyous. The takeaways from Genesis 1–2 are rich. Yahweh is a powerful God who unilaterally created an orderly and harmonious world of peace. Humanity exists to serve as God’s ambassadors of his abundance to all creation by serving as a missional community that reflects his character and ethos. They make visible the invisible king of creation who invites all to experience sabbath as the defining purpose of life. Creation is very good. Relationally there is mutuality and goodness between God and humanity, creation and humanity, and men and women. This is a powerful witness to the present of what God originally intended and a portrait of the salvation that God ultimately is working to consummate again in his coming New Creation. After using elohim only in 1:1–2:3, the narrator skillfully identifies elohim with Yahweh by combining the two beginning in Genesis 2:4. I am teaching an applied hermeneutics course at Asbury Theological Seminary. It focuses on the text of Matthew’s Gospel. I am working hone a missional approach to Scripture as a key lens for appropriating the message of the text in the West for the 21st century. When I talk about a missional hermeneutic, one of the key questions that I am asked is this: Is a missional reading or hermeneutic something that we as readers impose on the text? My short answer is this: A missional reading of the Bible arises out of a close reading of the text itself. The reader however does bring the issue of mission as part of the investigation. This is not a foreign imposition on the text because the Bible itself assumes mission. We have often missed the missional element in Scripture because we have grown up in a Church culture in which mission was not at the center. This was not the case for the recipients of Matthew’s Gospel. The NT (and the OT) assumes mission. If we are to understand truly the Scriptures, we need to locate our own readings within a context of missional engagement with the world. How can I say that Matthew assumes mission? 1) The Gospel of Matthew reaches its zenith in Jesus’ commissioning of his disciples to Make Disciples (Matt 28:18-20). Notices that this is not merely a call for certain followers to serve as ambassadors. It is the mission of all followers of Jesus. This was true in the initial call to “follow Jesus and learn to fish for people” (4:19). The book of Matthew is a manual on missional discipleship. The Great Commission is the no brainer “mission” text, but Matthew from beginning to end is about Jesus’ announcement of the kingdom and call of disciples to follow him into the world announcing the good news. 2) Matthew opens with a genealogy (1:1-17). Part of this genealogy affirms Jesus as “Son of Abraham”. It was to be through Abraham that “all peoples of the earth will be blessed” (Gen 12:3). The possibility of persons outside of Israel being saved is opened up through references to Abraham in the Gospel of Matthew (see Matt 3:9 and 8:11). Moreover, Jesus’ ministry begins in “Galilee of gentiles” (4:15) and Jesus gives the Great Commission from Galilee (28:16­–20). 3) Matthew focuses on the inclusion of outsiders in the scope of Jesus’ mission. This begins with the Magi (2:1-12) and continues on with Jesus’ ministry to those outsiders desperate for the Kingdom (see especially Jesus’ mighty acts in chapters 8-9). Who are the recipients of Jesus’ ministry? Lepers, foreigners, women, Roman centurions, tax collectors. This is a significant demonstration of the expansion of the scope of Israel’s ministry through the person of Jesus the Messiah. 5) Jesus practices boundary -breaking ministry. After teaching the ethos of the Kingdom for his disciples (Matt 5–7), he then models it in a series of mighty acts in Matt 8:1–9:34. Jesus does not allow uncleanness, foreignness, or sexism to stop the advance of the kingdom. 6) The “missionary discourse” (Matt 9:35-11:1) is Jesus’ empowerment and deployment of his followers to engage in the same sort of ministry that he had modelled for them in Matt 5-9. The Gospel of Matthew serves to teach God’s people how to live as a holy missional community to/for/in the world. 7) Jesus does not call persons to faith faith per se. Instead, Jesus calls people to “follow me”. This is significant. The Christian life is not merely about right thinking; it is about right living as well. But right living cannot be subsumed under the heading of ethics. Instead the ethos of the Christ following movement is centered on mission. When Jesus called persons to follow him, Jesus led them on mission. This is model for the Christ following movement. The Risen Christ continues to lead his people on mission to save the universe (Matt 28:20). What do you think? What else would you add? © 2007 with significant revisions in 2009 and 2015. The following are personal anecdotes that have served to open my eyes to the need for new ways of serving as an ambassador of Christ. 1) My youngest daughter has a friend (F) whose parents are originally from Upstate New York and Michigan. She invited F to stay over night a year or so ago. It was a Saturday evening so we gained permission for F to accompany us to worship on Sunday. The next morning we got up with the intention of attending a 9:30 AM service. As we dressed and prepared to leave the house, F looked puzzled. I was speechless. Here was a child of middle class white parents from middle America living in the suburbs who had no idea that the church we were talking about was something different from the fried chicken restaurant. 2) I use to live a few houses from our local elementary school. I always tried to find time to hang around before and after school in order to converse with parents and allow our daughters to enjoy the company of friends. I had many impromptu conversations across a wide range of topics. Spirituality was a popular theme. One of my friends, a self-avowed atheist, likes to see where people stand in terms of religion. One day she was polling the other parents who had gathered in our driveway. She wanted to know if any of them attended church. Most said, “No” or “We used to.” One woman said that her family attended until her son was frightened by some of the bible stories. In particular, he was horrified by the story of Jonah and the great fish. He was afraid that God might send a whale to swallow him. They had not attended church since this lesson. What does it mean for teaching the Scriptures that Western culture has lost its memory of the most basic stories? How have stories that contained good news become bad news stories? 3) I think that that the preceeding anecdote also has implications for children’s curriculum, but let me first share a related incident involving my oldest daughter. She walked out of her Sunday school class upset one day. The class had studied the story of Noah’s Ark from Genesis 6-9. I asked her what was the matter, and tears welt up in her eyes. Why did God have to kill all of those innocent animals? Wow. Great questions. In fact, it is a natural one given our modern bent toward environmentalism and animal rights. Our family loves animals. My daughter wants to be a vet. Her reaction was in many ways similar to the reaction of our neighbor’s son to the story of Jonah. It begs this question: Isn’t it time to reassess how the Bible is taught to children? Noah’s Ark and Jonah are not children’s stories. They are poignant and powerful narratives for adults. A missional hermeneutic is profoundly interested in rejuvenating the Old Testament in our day. Genesis 1-11 is the fundamental narrative for understanding our life in the world today. It is not the stuff of children’s Sunday School. These are texts for the pulpit and for adult bible study. Likewise Jonah is a story of a missional God’s heart even for the avowed enemies of God’s people. What would it take for our communities of faith to reengage with the whole of Scriptures? Why do we relegate such theologically rich texts as Genesis 1-11 and Jonah to the realm of children’s Sunday School? I looked up from my lunch. “You meditate?” I asked. He began to rattle off a series of Hindu gods such as Krishna and a litany of others. At this moment, a girl sitting a few seats away joined him in talking about the various deities and their stories. I sat amazed at these two young people sharing with me and their friends about their religious beliefs openly and proudly. My daughter looked at me with some confusion. 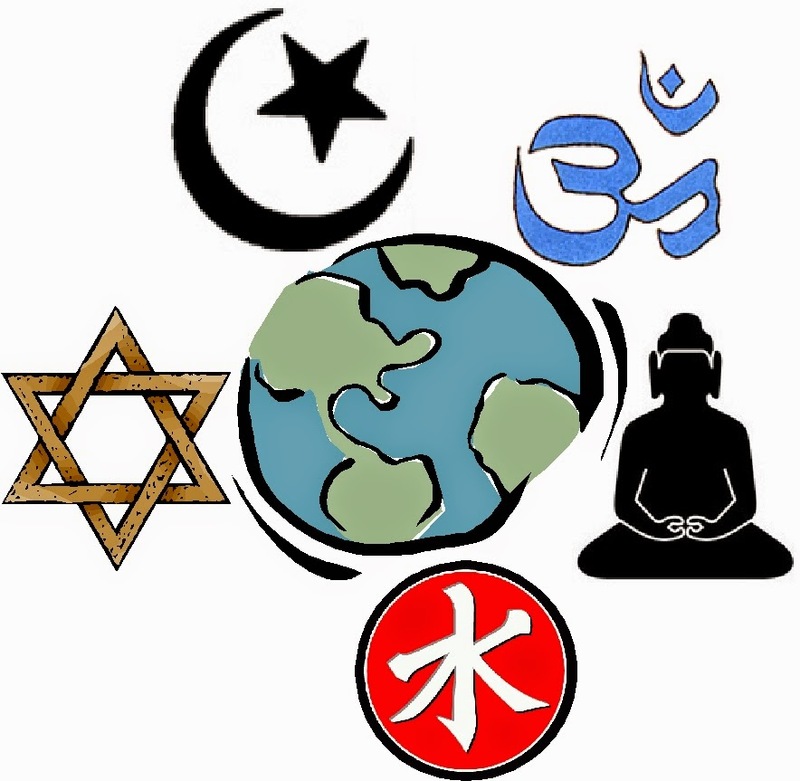 We talked later about the world religions. How well are we preparing to dialogue and converse with persons who are not merely post-Christian (there are clearly many such women and men in the West today) but alternatively adherents of contrasting faiths? What does it mean to read the OT and NT within a global context? 5) I love soccer. Both of my daughter play as often as possible. A few seasons ago in the Greater Central Florida Youth Soccer Leagues, my oldest daughter’s team was competing against a team from an openly Christian soccer club. The name of the team was the Praise. Yet midway through the game one of our girl’s parents who is not a believer moved her chair back to where most of our team’s parents were seated. She reported, “The parents down there were encouraging their girls by yelling ‘kill’em’ and ‘knock’em down’. I thought that we were playing a Christian team?” Not much that I could say at this point. How would your current practices of reading Scripture and preaching/teaching speak to these situations? What similar stories/experiences have you encountered in your missional work? The biblical narrative tells the story of Creation — Fall — Israel (God’s New Humanity) — Jesus the Messiah — Church — New Creation. See my essay God's Mission and Scripture's Story to review this framework. This biblical parliament includes wisdom books which differ greatly from the prophets. Within wisdom Job does not agree with Proverbs, and Ecclesiastes is out of tune with almost everybody. The prophets include Jeremiah and Isaiah who concur on much but differ considerably…No wonder that some deny to [Scripture] any unity. But it has a unity: a unity in tension, a harmony of conflicting forces that can speak to all sorts and conditions of humanity, in all sorts and conditions of human joy and anguish. At times we must hear one voice more than others. In affluence we must hear the vocation to poverty, in strength we must be conscious of the power of weakness; severity must temper goodness and law nourish grace lest it become cheap. Think about some of the more famous tensions in Scripture: differences in created order in Genesis 1:1-2:3 and 2:4-25 or the different perspectives on faith and works found in Paul’s letter to Galatians and the writings of James. Does not reading these in the larger framework of God’s mission place the relationship of these texts in a new light? Rather than seeing the Bible as hopelessly diverse and without any center, an emphasis on the mission of God serves as the light that brings out of the true beauty and unity of the kaleidoscope of Scripture. The review of the Big Picture of the Old and New Testament suggests that Scripture forms a story. It is the story of the Mission of God from Creation – Fall – Israel – Jesus – Church – New Creation in which the Creating and Redeeming God invites humanity to live as the people of God for the world. Scripture’s story is not part of some larger narrative; it is itself the larger narrative of which all other true narratives are parts. And so do not when reading Scripture try to figure out how what you are reading fits into some larger story; for there is no larger story. 2) All of Creation matters to God. God’s ultimate mission is the full redemption of all creation. As we saw the Bible begins with a Creation which God himself evaluates as “very good” (Gen 1:31). This “very good” Creation is undone in part by human sin (Genesis 3-11, note specifically the cursing of the earth in the aftermath of the disobedience of Adam and Eve in Gen 3:17-19, cf. Romans 8:18-23). Likewise, the New Testament ends with a testimony of a New Heavens and a New Earth, including the creation of a New Jerusalem which functions as the focal point of God’s ultimate reign. First, humans remain God’s stewards over creation – creatures, plants, and inanimate material. It is contrary to Scripture to participate in the abuse of Creation. The care of God’s creation is part of the missio dei. The Mosaic Torah serves to function as the authoritative core of the Old Testament witness. It fundamentally serves as a polity for the people of God. This polity includes living in harmony with God’s creational intentions which involves humanity’s mission to share God’s blessings with all creation. As Christians, we may find the word sacrament to be helpful here. God’s desire for the people of God is for them to serve as a sacrament, a means of grace, to the world. Paul seems aware of this necessity in his great chapter on reconciliation in 2 Corinthians 5. After writing, “Therefore if anyone is in Christ, he is a New Creation; the old has gone, the new has come!” (v. 17), he immediately turns to role that the “new creation” has for the rest of creation – “All this is from God who reconciled us to himself through Christ and gave us the ministry of reconciliation” (v. 18). In other words, God’s response to Fall has been to call a people to serve the world (especially other humans) on behalf of the Creator. This is a worldly vocation. Last, mission began at creation, and not merely after the Fall. Even before human sin entered the world, there was mission. God’s creative acts in Genesis 1 serve as a model of this. God’s actions are purposeful. He creates the “very good” ordered world out of the raw material described as in Hebrew as tohu wabohu “formless void” (Gen 1:2). Even humanity is giving a missional function at creation. Humanity, forged in the image of God, is to reflect God’s character in its vocation of care over Creation and in its filling of Creation (Gen 1:26-31). 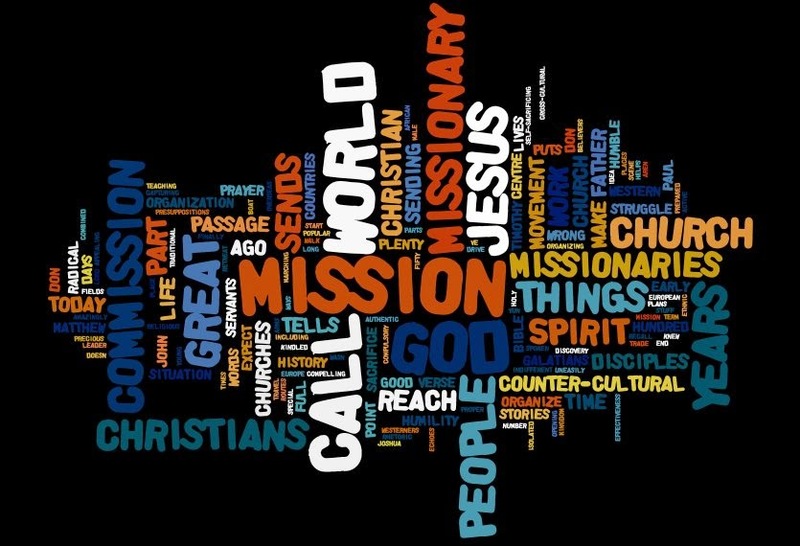 3) Rather than talking about a “biblical basis for missions” we should affirm, as Chris Wright suggests a “missional basis for the Bible.” Scriptures through the power of the Holy Spirit continues to call the Church today to participate in God’s mission. Mission is the reason for which the Church continues to exist. It is the role of each individual church and each individual Christian to find his or her vocation in light of this reality. Ostensibly, mission will continue on even in the New Heavens and the New Earth as humanity returns empowered by the Holy Spirit to fulfill God’s original creational intentions. 4) We need to learn a new way of reading the Bible that reemphasizes the missional center of Scripture. It can no longer function primarily as a source of private piety. We need to relearn to read Scripture through a missional lens in which those who already follow Jesus are shaped into missionary witnesses and those who are not following Jesus are invited to full participation in the only community that truly exists for the benefit of the world. For more information, see my book, (re)Aligning with God: Reading Scripture for Church and World (Cascade, 2016). Need a curriculum or guide to learn the Bible's Big Picture? Check out Invitation. For an excellent study on the diversity within the OT see John Goldingay, Theological Diversity and the Authority of the Old Testament (Grand Rapids: Eerdmans, 1987). Harry Daniel Beeby, “A Missional Approach to Renewed Interpretation” in Renewing Biblical Interpretation, eds Craig Bartholomew, Colin Greene, and Karl Möller (Cumbria and Grand Rapids: Paternoster and Zondervan, 2000), 279. Robert Jensen, “Scripture’s Authority in the Church” in Art of Reading Scripture, 34. 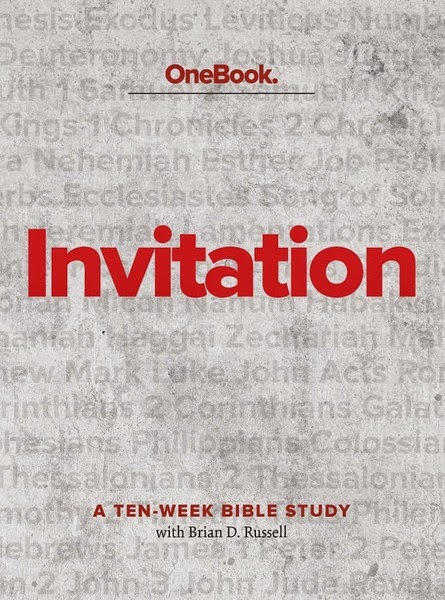 Here is a video that I filmed to serve as an introduction for individuals or groups reading my new book Invitation published by Seedbed. Let me know if you have questions about the contents of the study or would like a sample. You can order Invitation here. In this video, I talk about the intersection of mission, holiness, and community as the sweet spot for living as the person whom God created us to be. When God’s mission (mission dei) takes center stage in the life of Christ followers, we read the Bible differently. Our eyes are opened to the reality that mission permeates the core of the Scriptures. This is the presupposition of a missional hermeneutic or any missional reading. Mission is present from Genesis through Revelation. Mission begins with God’s creative work to bring order to Creation (Gen 1:1–2:3). God created human beings to serve as a missional community to reflect God’s character to the world (Gen 1:26–31). A proper understanding of imago dei (image of God) turns on recognizing that image at its core points to God’s intentions for humanity to serve Creation as a visible representation of the divine. As my friend, Alex McManus says, “We are a clue.” In the aftermath of humanity’s embrace of sin (Gen 3–11), God’s mission focuses on the redemption of humanity and Creation. The Bible exists as the witness to this mission. How do we read the Scriptures differently when we participate actively in God’s mission? 1) We bring different questions. Engaging others in conversation by entering into the world outside the safe confines of local communities of faith quickly subverts typical Sunday School fare. In the West, a Judeo-Christian worldview is rapidly fading. This means that many of the non-Christ followers with whom we will speak will have no points of contact with the religious talk that we use. A few encounters in the world will send us back to the Scriptures in search of the Gospel beyond proof-text and for more than personal devotion. Walking the streets of Orlando brings me into conversation with persons from all over the world and from all the religions of the world. I can remember the day this reality truly struck me. This conversation and others like it forced me to go back to Scripture to read it from a missional perspective and to ask the Bible different questions. What does it mean to be on mission in a polytheistic, syncretistic, and spiritual world? What kind of person do I need to become to live out the Gospel in my context? How do the Scriptures shape God’s people to live as a “kingdom of priests and a holy nation”? 2) We read the Bible to gain insight into humanity. 3) We read to allow God to transform us and our communities into missional communities. Encounters with non-Christ followers will drive us to the realization that we need to become more profound people and our communities of faith need to become more authentic and Christlike. The recognition of our own need for continued cleansing and renewal pushes us to read the Scriptures in order to answer this question: How do I as an individual and we as a community of faith need to change in order to reach the world? I want to respond to these questions by discussing the process of bible translation and then offering some concluding remarks. First, let me make a distinction between translation and paraphrase. A translation is a text produced by transferring the words/meaning of a manuscript written in a foreign or ancient language into the reader’s own language. All modern English translations involved the careful transfer of the Hebrew and Aramaic Old Testament and the Greek New Testament into the English language. A paraphrase, on the other hand, is a text produced by reworking existing translations into a new hybrid. Paraphrases are produced for clarity. A paraphrase does not work from the original languages. A longstanding popular paraphrase is The Living Bible (to be distinguished from the New Living Translation which was produced from study of the original language texts). Second, the work of Bible translation is generally done by committee. This is not always the case as the 19th century scholar Young produced Young’s Literal Translation and more recently Eugene Peterson has produced The Message, but all major translations (NIV, NRSV, NLT, ESV, etc) have been the work of a group of scholars. Translation by committee serves to guard against an individual’s idiosyncrasies and represents a collegial and consensual enterprise. Last, there are two translation camps: formal equivalence and dynamic equivalence. These represent ideals rather than realities. A formal equivalence translation (better known as a literal translation) seeks as much as possible to translate word for word from the original language into the modern language. In other words, the ideal goal would be to use one English word for one Hebrew or Greek word. For example, Greek sarks “flesh” would be translated “flesh” consistently in a formal equivalence translation. It would be up to the reader to deduce the precise connotation of “flesh” within a given context. The strengths of the formal equivalence side include consistency in translation and preservation of the sentence structure of the original. Its principal weakness is its readability. A formal equivalence translation expects more of its reader in the process of interpretation. Readers have to make more interpretive decisions and decode the context more because the translators have preserved more of the ambiguity of the original language. It is critical that a reader recognizes that a formal equivalent translation is still an interpretation of the original. A dynamic equivalence translation focuses on the transfer of meaning rather than a commitment to word for word translation or to preserving the structure of the original. To use the same example as in the preceding paragraph, sarks (literal: flesh) is often translated as “sinful nature” when Paul uses it (see Romans 7). This is clearly more interpretive than simply translating sarks as “flesh.” Is it better? This is a matter of scholarly debate. Note the difference. “Flesh” begs the question – what does “flesh” imply? A formal equivalence translation leaves the ambiguity and expects the reader to supply the full meaning; a dynamic equivalence translation offers a more specific interpretation for the reader. Having painted these two poles, it is important to recognize that no translation embodies either ideal perfectly or consistently. No literal translation can avoid making interpretive decisions in the process of translation; most dynamic equivalent translations will give a nod to tradition in their rendering of familiar passages. Examples of translations leaning toward formal equivalence include the King James version (KJV), the New King James (NKJV), the New American Standard (NASB), and the English Standard version (ESV) to name a few. Examples of translations nearer to the pole of dynamic equivalence are the New Living Translation (NLT) and the Message. Other translations fall in the middle – New Revised Standard (NRSV), New International (NIV), and Common English (CEB). 1) No translation is perfect. It is easier to criticize other translations than it is to produce the perfect translation. Committees have to make a variety of decisions regarding readability, assumed reading level of contemporary audience, use of archaic words, approach to text critical issues among others. 2) Every translation, no matter how literal, is an interpretation of the original text and represents a commentary on it. Furthermore, no translation will ever alleviate the necessity of serious study and interpretive work. One can gain good insight into an individual translation’s strengths and weaknesses by taking the time to read the introduction to a given Bible. The committee responsible for the translation will usually be forthright in discussing their overarching aim and decision-making process in the introductions to a given translation. Serious students would do well to read the introductions carefully as a means of understanding the approach of each translation. 3) Bible translation is an on-going process. This follows naturally from the first two and is true for at least three reasons. First, human language changes over time. If the rationale for Bible translation is the necessity of providing access to God’s Word in the language of the people, then newer translations will be necessary. Second, new discoveries of ancient biblical manuscripts can shed new light on the text. For example, the discovery of the Dead Sea scrolls in the mid-20th century revolutionized our understanding of the text of the Old Testament and brought clarity to nagging textual issues. Last, advances in linguistic studies have shed new light on obscure passages. This is principally an Old Testament problem, but there remain words and phrases whose translations are mainly guesswork. The work of comparative linguistics continues to chip away at this problem. 4) Bible translations find themselves in various branches of a family tree. It is helpful to understand the forerunners of a given translation. Often the earlier translation will serve as a jumping off point for given translation. 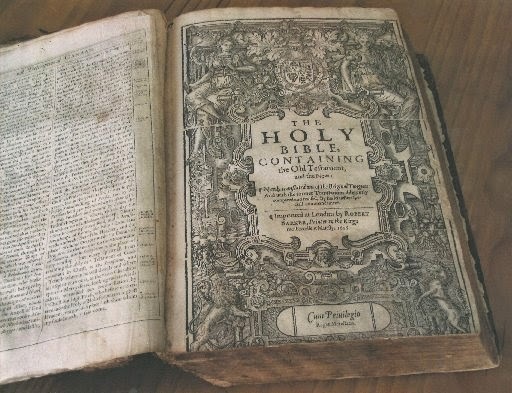 The King James followed earlier efforts to put the Bible into the English language. More recently the TNIV serves as a revision of the NIV. 5) It is best to use a variety of translations for serious study. I recommend that persons read and compare at least three different translations when studying short passages. Such an approach serves as a hedge against misreading. When doing this, choose translations from different families. For examples, comparing the King James Version with the New King James version will not be as helpful as comparing the New International Version with the New King James version. One of the most inexpensive ways of facilitating this approach is to purchase a parallel bible or to use online Bible resources such as Bible Gateway. A parallel Bible typically consists of four English translations that stand side-by-side in parallel columns. 6) Bottom-line: the best translation is the one that you will actually read regularly with the humble desire to open oneself up to its message so that God can shape and form you. 7) Readers often ask for my personal preference. For careful study, I am never too far from a Hebrew Bible or the Greek New Testament. It is vital for those with the time and aptitude to cultivate a knowledge of the original languages. (See my essay "Learning the Biblical Languages: Worth the Effort?") However, I use a number of English translations enthusiastically: NIV, TNIV, NLT, ESV, CEB, and NRSV. For Old Testament reading, I also use the TNK (Tanak). This essay is the fifth revision of a blog post originally published 11-30-05 and updated again in 2008, 2015 and twice in 2017. How does a missional hermeneutic fit into the current environment of biblical studies? Below is a brief assessment of missional hermeneutics in light of current interpretive practices. This is only a sketch but I trust that it will be helpful as a conversation starter. Most people in our churches read the Bible as a personal Spiritual formation primer. Some readings do not survive a careful reading of the context. Often Christendom based rather than missionally aware. Authority of text is rooted primarily in the reader. Historical criticism (a.k.a. the historical-critical method) has long dominated biblical studies. Historical criticism brings an agenda to the biblical text driven by Enlightenment historicism (most recently by a philosophical positivism). Historical critical approaches focus primarily on understanding biblical texts in light of a reconstruction of the world that produced the text. Thus, historical criticism focuses its reading practices on answering questions such as: Who was the author(s)? What sources were used in the writing of the text? What was the date of composition? Who were the original recipients of the text? Understanding the historical context of a text serves as a guide to interpretation. The rise of postmodern critics of the Enlightenment have pointed out the naivety of its claims to objectivity. Lessing’s “Ugly ditch”: German thinker Lessing pointed out in the 18th century a fundamental problem for those engaged in historical criticism in support of the theological enterprise of the church. The problem as he saw it may be stated in this manner: How can contingent truths, i.e., the possible truths found through the tools of historical analysis be used as the basis for the absolute truth claims of Theology? How does one move from a historical analysis of a text to a theological reading of the text for contemporary communities of faith? Pastors trained primarily in the tools of historical criticism have struggled for centuries with how to make this leap. This has lead to a major problem with historical criticism—its results have not shown the ability to nourish and sustain communities of faith. Authority is rooted in a hypothetical reconstruction of the world and/or author who produced the text rather than the text itself. In the last decades of the 20th century, interpretive voices from previously marginalized communities began to be heard. Biblical studies have long been dominated by male scholars from Western Europe and the United States. In the present milieu, the voices of women, non-Westerns, feminists, liberationists as well as others have joined the academy. Elevates the experiences of groups and sub-groups over the claims of the text itself. Thus, its conclusions are just as fragmentary as the results of historical criticism. Authority is rooted in the experiences of marginalized persons. How does a missional reading relate to and engage these forms of reading? Think about some of the more famous tensions in Scripture: differences in created order in Genesis 1:1-2:3 and 2:4-25 or the different perspectives on faith and works found in Paul’s letter to Galatians and the writings of James. Does not reading these in the larger framework of God’s mission place the relationship of these texts in a new light? Rather than seeing the Bible as hopelessly diverse, an emphasis on the mission of God serves as the light that brings out of the true beauty and unity of the kaleidoscope of Scripture. 2) A missional hermeneutic focuses on reading the Bible as an invitation to outsiders. Part of this involves the active engagement of the world with the message of Scripture. We listen to the critiques and criticisms of men and women not defensively or argumentatively but as an avenue for bringing the Scriptures into conversation with lost persons. We assume a “faith seeking understanding” stance of humility. This is not a denial of the trustworthiness of Scripture, but instead a profound confidence in God’s word. 3) By reading the Bible as an invitation to conversion, a missional hermeneutic alleviates some of the risk of a self–referential treatment of Scripture. The Bible invites its readers to understand and find themselves in terms of its narrative and its story rather than their own. The call of the Scripture is to live for something larger than the self, i.e., the mission of God. The text itself becomes a canvas. Authority derives from the ability to make sense of the discrete data of the text rather than in the reconstruction of the world behind the text (historical criticism) or in reader’s personal experience. “Missional hermeneutics” is a way of interpreting Scripture that starts from the assumption that the NT communities were all founded in order to continue the apostolic witness that brought them into being. Every NT congregation understood itself under the mandate of our Lord at his ascension: “You shall be my witnesses.” The work of apostolic witness was not only to proclaim the gospel of salvation and to establish congregations of believers. Their work was not done when there was a community of Christians now growing in their faith and moving towards its promised outcome, “the salvation of your souls” (1 Pet 1:9). Their mandate was to found congregations where their shared experience of God’s saving love equipped them to become witnesses. They were empowered by the Holy Spirit to spread the word and the evidence of the gospel of new life and hope, and they did it! To that end, the NT documents were all, in some way, written to continue the process of formation for that kind of witness. They intended the continuing conversion of these communities to their calling—and that is how the Spirit used (and still uses!) these written testimonies. 5) A missional hermeneutic shifts the Scriptures from serving as an individualized Spiritual formation primer to an invitation to participation with the people of God in the mission of God. Scripture transforms its readers/hearers for mission. Spiritual formation is not separated from God’s mission to extend God’s blessing to the nations (Gen 12:3, Exod 19:4–6, Matt 28:18–20, Acts 1:8). 6) A missional hermeneutic is an approach to Scripture that focuses primarily on the text itself. It is the text that serves as the arbiter of interpretation. Discovering the artistry and voice of the world that the text creates is the goal of a MH. However, MH does not give a blind eye to issues of historical-criticism, but it does not begin with these. Historical data is deployed as an aid to reading the text to for its message rather than as an end in itself. Likewise, as noted above, a MH does not deny the importance of the reader.